Hi Natasja! Welcome to Fiction Dreams. Can you tell us a little about your latest book? ‘Call Off The Search’. This series introduces a unique humanoid species: comyenti who can merge their minds with animals to gain special powers for the greater good. But who are they truly? Where do they come from? Why are they on the planet Bhan? What is their tragic history with humans; their number one enemy and how come comyenti’s with all their power were beaten? Can they come to terms with that and overcome their aversion to humans? What is their weakness and how can they rise above this? Can Sula truly accept being stuck in between two worlds? Can any comyenti really and should they? How powerful are the comyenti’s really? What does the future hold for the comyenti species? 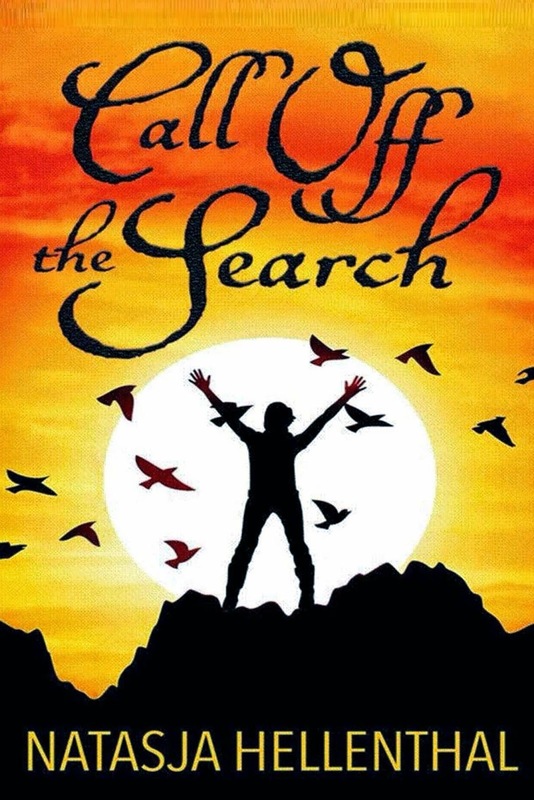 Book One: ‘Call Off The Search’ introduces Sula Comyenti, a nomad Halfling who feels neither completely comyenti nor human and she is neither straight, nor lesbian. My love for all animals and the clash between them and humans who share the same space. What people do to one species and how it impacts the entire circle of life. I wanted to write about environmental and animal rights issues without being too preachy but wrapped into an entertaining gripping story. Since I didn’t want to use a wild animal for my main character, but someone the reader could feel more related to I came up with a new humanoid species that looks very similar to us on the outside, but on the inside is closer to an intelligent wild animal and a natural lifestyle and has just like many animals a tragic history with the human race. I was also interested in the psychological aspects of it all. I wanted to write about the consequences of what it would be like to be the last of ones kind and the questions it would raise in that individual but also the conflicts. I chose a female lead to make it more interesting. What would you do? Would you continue to search for others like you or would you interbreed with humans? Would you continue to hide from them or try to blend in, learn more about your human side? It is also a story of belonging and trying to fit in when you’re clearly different. When I first saw the picture I was hooked. The sun in the background and the person with her arms reaching to the sky was so powerful to me that I knew it was the right cover to grasp the story. The main character’s name is Sula and in her language means sun. It is a symbol of hope and warmth. Sula had to be strong and cold hearted towards humans in order to survive. She had never experienced romance. And obviously the title suggest she can ‘call off the search’ which can either be a joyful thing or she is raising her arms up in despair; however one interprets it. In Speculative Fiction and Fantasy you don’t have to stick to the facts, but rather make up your own, but can still totally pull it off and be absolutely believable. Besides I don’t like to be limited and I prefer to make up my own worlds that are very much like our own, but I can play with it more and set my imagination loose. There is so much more freedom in that and it can prove very powerful and open new doors and possibilities. 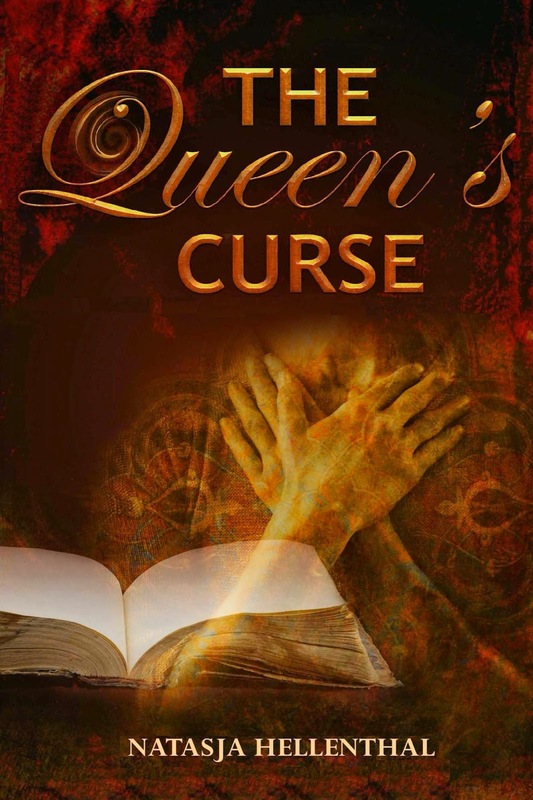 I love using symbolism in my work and by writing in the Fantasy genre it is more acceptable. That’s what appeals to me. There have always been stories inside of me and the only way to get some peace of mind is to write them down! We have a voice and if you can why not use it? I don’t really know to be honest, they just come to me and feel right. People like Etty Hillesum and Gandhi, people that go out of their own way to help others despite of themselves and the dangers around them. But also Mother Earth and everything about the great outdoors; the wind, the mountains, the ocean are all aspects I need to recharge and gain inspiration from. And because she gives me so much I try to live in respect towards her and do my bit in return for the environment. I stand up for her because I stand on her! Our converted garage which is made into an office. I can just close the door and shut everything out. I need complete silence in order to write as I get distracted very easily. Tanith Lee and Kahlil Gibran. Marion Zimmer Bradley because she had such an impact in my own writing, Hermann Hesse because of his great books especially Steppenwolf and Siddhartha and Kahlil Gibran for his enormous wisdom. 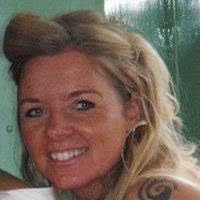 I have lived in five different countries so far and will be moving again to another country! Hot sunny beach or snowy mountain log cabin? I don’t like the cold anymore, having lived in Norway and wet England although I love snowboarding and the seclusion of a log cabin in the mountains I would still choose a hot sunny beach, but an empty one far away from holiday makers. Tough cookie or cry baby? Cry baby; I’m a very emotional person and tears spring to my eyes when I see pictures of abused animals and also because I’m an Empath I feel other people’s pain and misery. It doesn’t take much. I can not watch or read the news any more because of this trait. I wouldn’t be able to function as it completely throws me off balance. I do however share facts and news on facebook and try to raise awareness and sign petitions to help stop suffering in the world as much as I can. TV show or movie? I don’t watch television much, but have my favourite box sets such as Smallville, Star Trek Voyager and Xena Warrior Princess and absolutely love to watch good movies. I’m very selective though and only watch movies with a moral such as Equilibrium, Avatar, Another Earth, The Machinist, The Hours and Instinct (to name a few). Chocolate or cheese? I’m a vegan so only dark chocolate. And I love that stuff! Cat or dog? I have both, two dogs and a cat, but I’m more of a cat person for sure. I love the fact that they are so independent and honest. Dogs are people pleasures however a bit more demanding and high maintenance! But I do love all creatures big and small. Purchase Call Off The Search on Amazon.